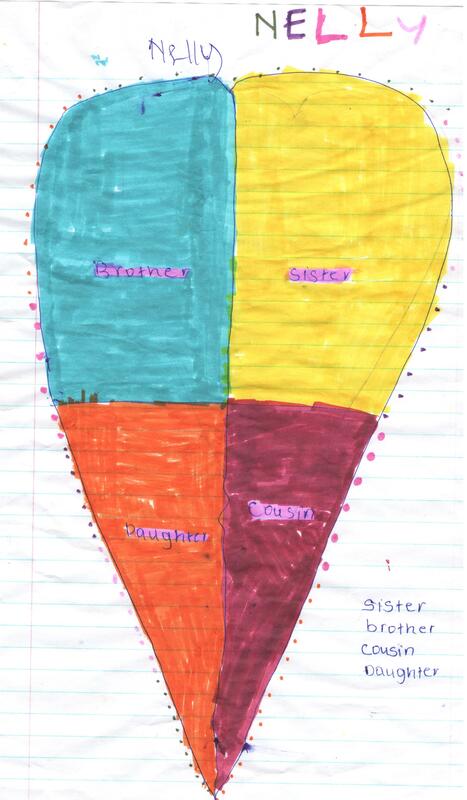 The girls all had their responses to the issues they consider to be important recorded on a colorful chart paper, after they had shared with the whole class as a conclusion to the topic of Kindness. The girls all grabbed glue sticks, newspaper clippings, magazines, markers, and crayons as they went on to stick photographs that represented their ideas as well as thoughts on paper. After their work was neatly put in place, you could see their personal pride of their accomplishments on their delightful young faces. The way I see it when the girls can go home and be proud of what they have accomplished during that day it creates an early momentum, the finest degree of inner tranquility comes from the development of love and compassion. The more we care for the happiness of others, the greater is our own sense of well-being. 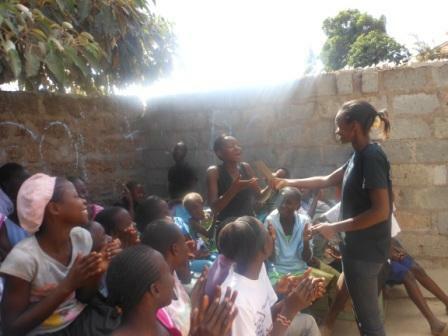 This past Sunday, The LitClub girls here in Kibera started on the topic of kindness, which in many cultures and religions is recognized as a value and is very important for people to be kind to each other, something I think is important for the girls to learn, big acts or small acts of good are valuable because they shape a persons character. During this past lesson we had so much fun exploring kindness in the different ways as the girls got the opportunity to think about life outside their own communities. They all had different thoughts on the different issues that affect us in our world today. They got to look at different photographs from different magazines and picked photographs that represented their thoughts and later on put their thoughts in to words. It was such an inspiration to read as well as listen all the ideas they wrote down in their personal journals as they shared them with the class, at the end of the session they learned how to practice random acts of kindness. Surely the children are our future; they have the most beautiful hearts and will no doubt have a positive effect in their community. We started off with a couple of ice breakers and games just to have the girls relaxed and cormfortable. We then had the girls display their unique moves, talents and great personalities when we did the “bull frog”. It was so much fun and they shared lots of laughter as each of the girls flaunted her special "bull frog' move. We shared the great inspiring story of Jessica Cox, a young 25 year old lady who was born without arms. Jessica did not give up on her hopes and dreams but believed in herself and achieved her dreams of being a pilot. The girls were greatly inspired and they really opened up about their dreams, wishes and even their fears. It was a lovely session. We then had a self-esteem activity, where the girls got to make “I Love Me" posters. This activity aimed to have the girls view themselves and their lives positively and beautifully. They embraced the different parts of their lives such as hopes, dreams, family and careers. They also got to view themselves and express their personal strengths and what they absolutely love about themselves. This activity entailed a lot of reflection and fun as they got to decorate and personalize their posters. We wrapped it up with another round of bullfrog; the girls had loved it so much and wanted to do it again! We got to see more moves and share more great moments of unending laughter!! It is always wonderful to see the girls sharing all their wonderful and different passions. This Sunday, they contributed to the Global Poem for Change. It was amazing having the girls open up and share their dreams, thoughts, and wishes that they hold very close to their hearts. All the girls in the different clubs here in Kibera had such wonderful ideas on what they consider to be global issues and all had eye opening ideas on solutions towards solving these issues. 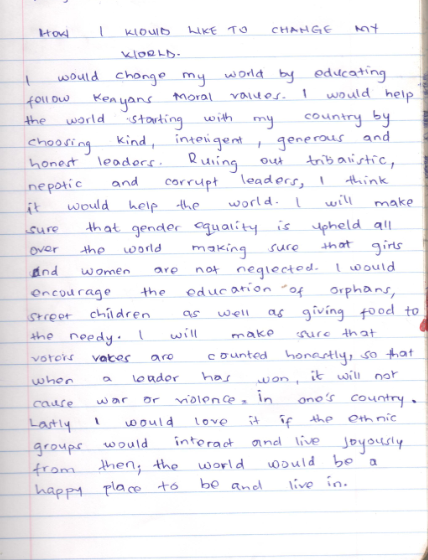 The girls had a session where they brainstormed on how everybody can make a difference. It was very empowering just listening to all their suggestions on ways they could make a difference and change the world. They definitely have beautiful hearts and will have a great impact now and in the future!! This Sunday afternoon, we had special visitors from Uweza Foundation journalism club: Rebecca, Christine, and Diana are all high school students who believe in doing positive things that impact positively on their peers and community. 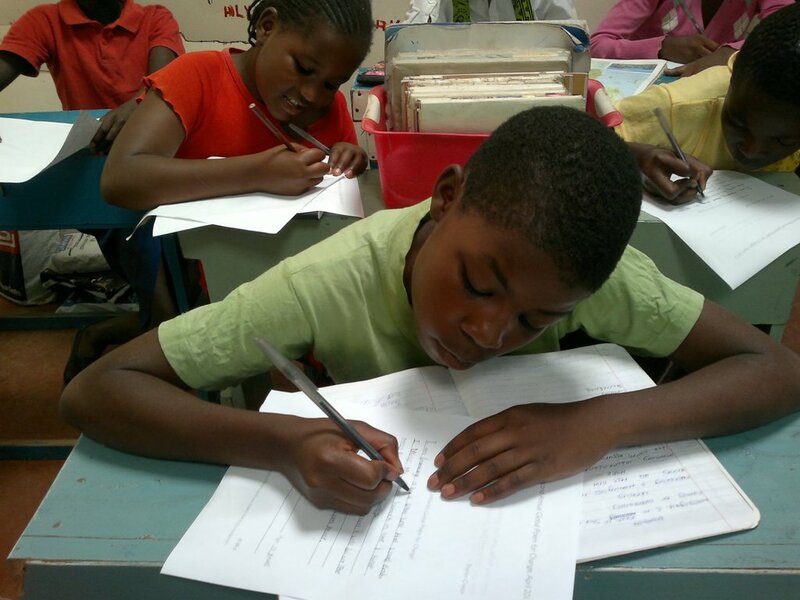 Reading and writing is an important part of what the girls at LitWorld Girls LitClub are taught, they nurture ideas on how to express themselves. This is an important part of the journalism club as well. It is not all fun and games, but also an interactive and enlightening experience for the girls, especially those that are aspiring to be journalists. The girls were very involved and were very welcoming to our guests, sharing what they did during their girls club sessions and also having the guests share what they normally do in their club during their weekly sessions. We are definitely looking forward to continuing this newly formed friendship. 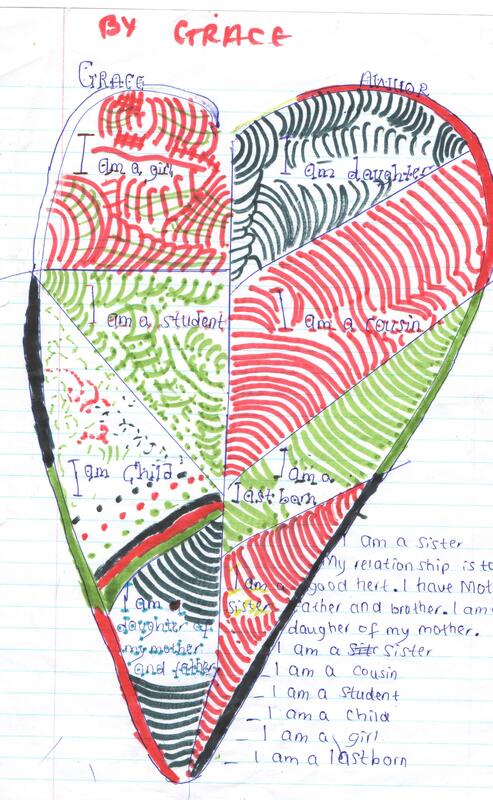 The younger LitClub girls were totally engrossed in their art work as we started on the topic of Sisterhood. The girls were very creative in their work, and were opened to new adventures as well as possibilities that were to come during our session. To start, the girls all did friendship stories. On a piece of paper, they drew special memories they had of their friends. I am excited to see what they will come up with in the next class as we learn all the wonderful new games and engage in the different activities as we learn how important it is to have close, trusting relationship with each other. The Girls LitClub had the pleasure of hosting some really special guests this past Sunday. 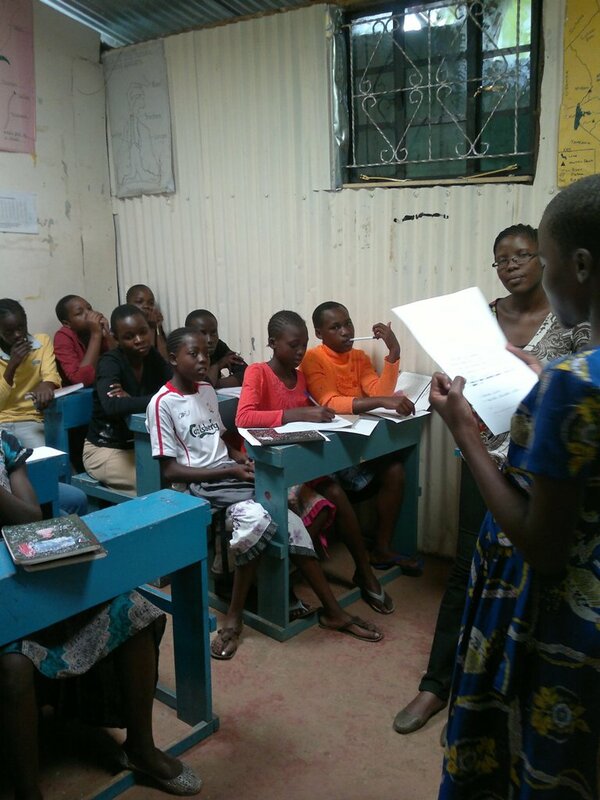 First, there were Grace and Millicent, high school students under the Children of Kibera Foundation sponsorship program. They met and talked briefly to the girls about high school, which the girls were keen to hear. The Girls LitClub also got to share a little of what they learn in their sessions on Sundays. school, where they were working on their online journals. Everyone that gets to meet the girls can always tell how special they all are. 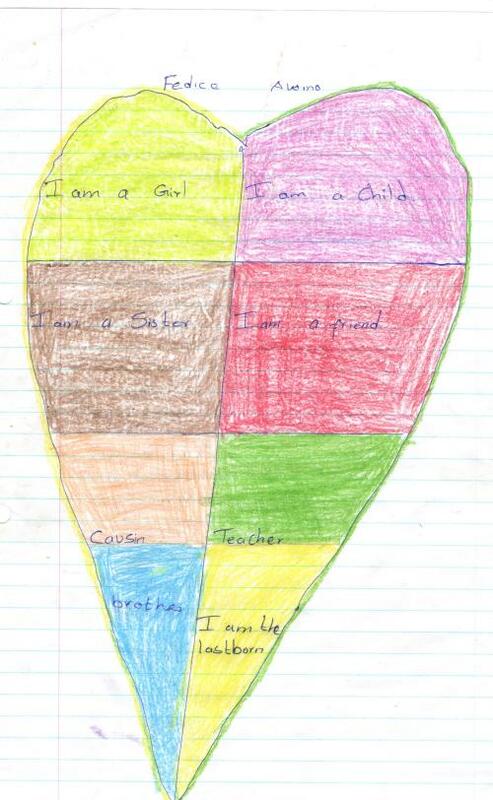 LitWorld Girls Club is engaged in activities revolving around seven strengths, i.e. compassion, sisterhood, confidence, hope, curiosity and self esteem. 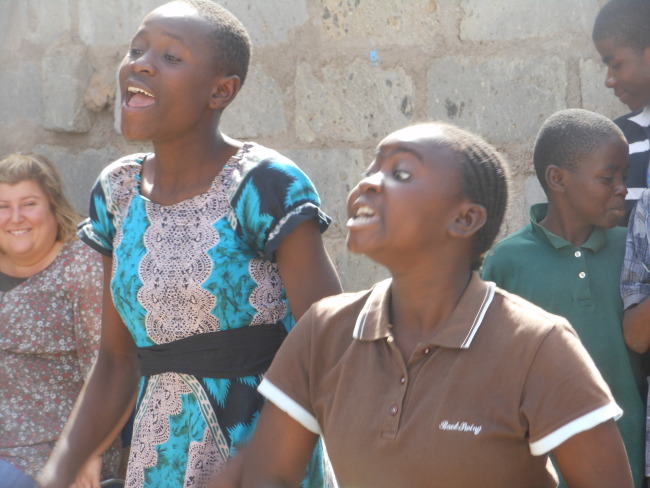 Through various activities modeled around these strengths, the girls are able to learn and play together in a safe environment removed from their difficult backgrounds at home. 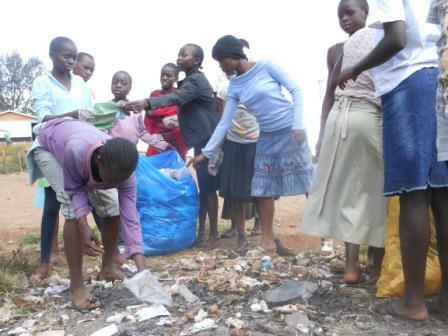 Our girls however do not simply view themselves as underprivileged victims in a tough society. 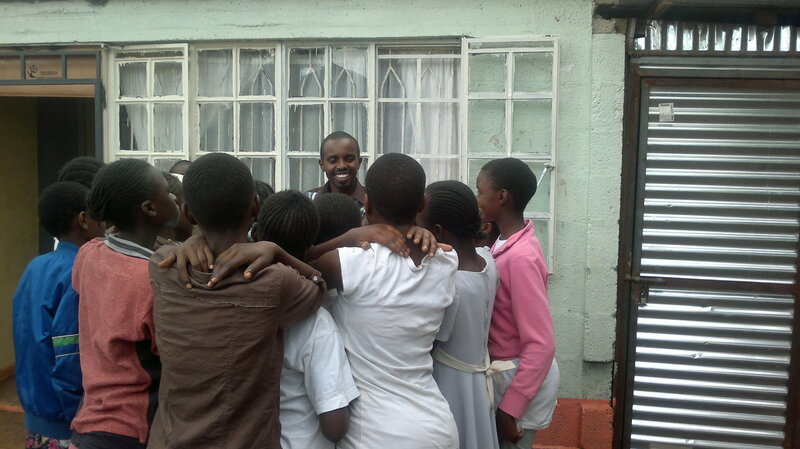 They recognize that they are young leaders with the power to effect changes in the community too. Being away from their old neighborhoods strengthens their resolve to do the little they can to make a difference where it matters most. Last Sunday, the girls took a walk around their club surroundings in a group interactive activity that enabled them to point out anything that they felt was undesirable in their environment. From illegal and low-hanging power lines to carelessly disposed garbage, murky streams of water laced with sewage and human waste dotting the alleys; the problems were many and glaring. change must start with them so they took up and acted on one task that all could immediately perform. 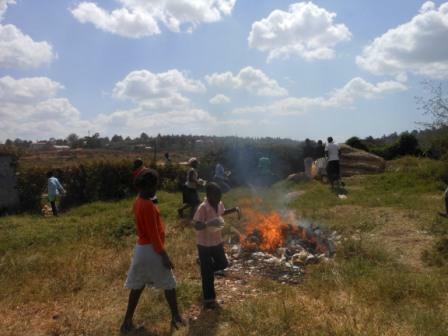 This was to collect all the rubbish they could lay their hands on and dispose of it correctly. They were excited to take up this activity and were pleased with the successful work they had accomplished. At the end of the day, all the girls celebrated the 13th birthday of one of the club’s dedicated members, Diana. Their efforts to clean up the surroundings of the school for the day were truly the icing on the cake! Thank you Prisca, for an empowering entry. We are proud of you and your Girls Club! 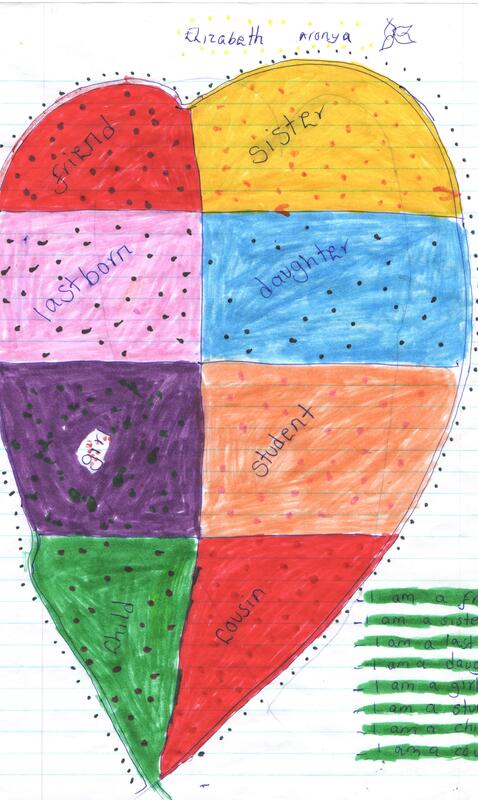 Thank you Prisca for sharing these wonderful photos of their heart maps! The Gilbert Family (Pat, Paul, Rachel and Aunt Julie), from Boston and Chicago were our guests this past Sunday. They are the second guests the girls have had the pleasure of meeting this year. The family was more than happy to be in Kenya and to meet these wonderful girls who they spent the afternoon with. The girls had prepared presentations to make, one of the poems being "My People" by Langston Hughes, which aids them in understanding one of the topics they are currently learning (BELONGING) and was presented by Grace, one of the new girls. Afterwards, the girls gave our visitors a tour to part of their neighborhood where the family enjoyed spending the time with them and getting to know the girls better. At the end of the day, everybody was enriched in one way or the other and we would be more that happy to host the Gilberts any day whenever they visit Kenya! Some of the power women finally got to visit and meet some of the new girls this past Sunday. They were very happy to have the opportunity to know more about the group they had heard so much about. In future sessions, the girls will be doing some beading and knitting, activities that they also enjoy and love. This opportunity gave them some insight on what to look forward to in our future sessions. They are now equipped with the all the seven strengths, and LitWord in general. We are all very happy with this new beginning; they are a wonderful group of girls! 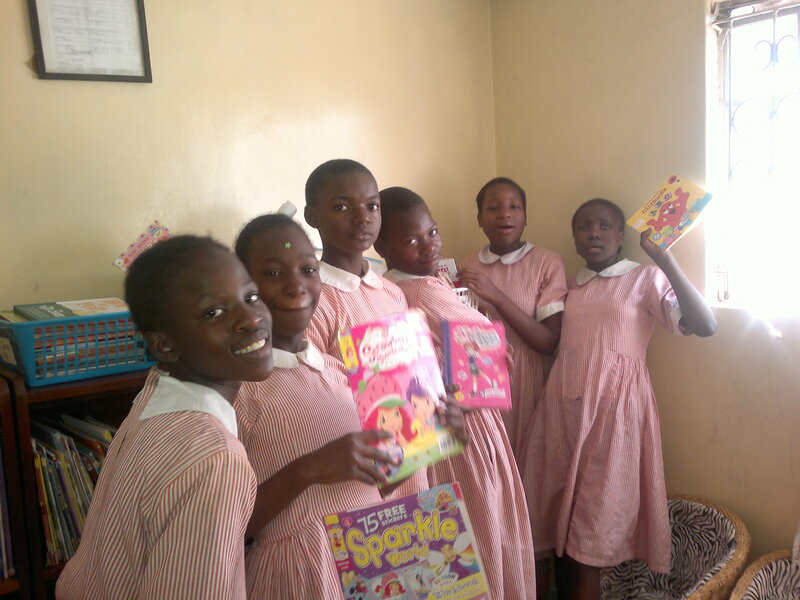 Red Rose School Girls Enjoy Their New Library! 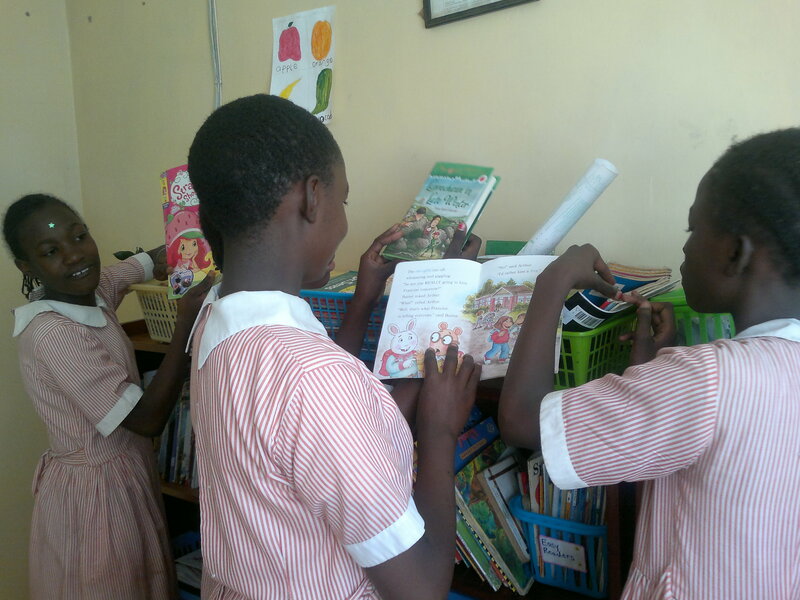 These photos of our Girls LitClubs at the Red Rose school make us so happy. 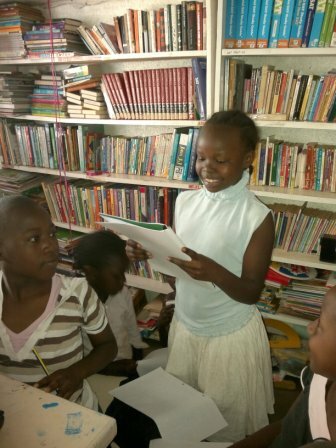 Look at them joyfully enjoying their new library! Thank you to Prisca, for sending these terrific photos over! 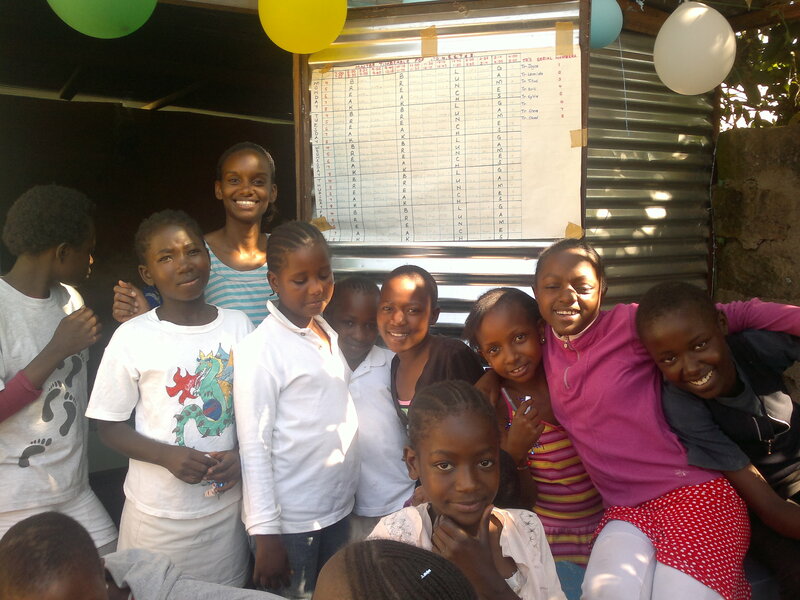 Girls LitClub in Kibera Are Back & Ready for 2012! 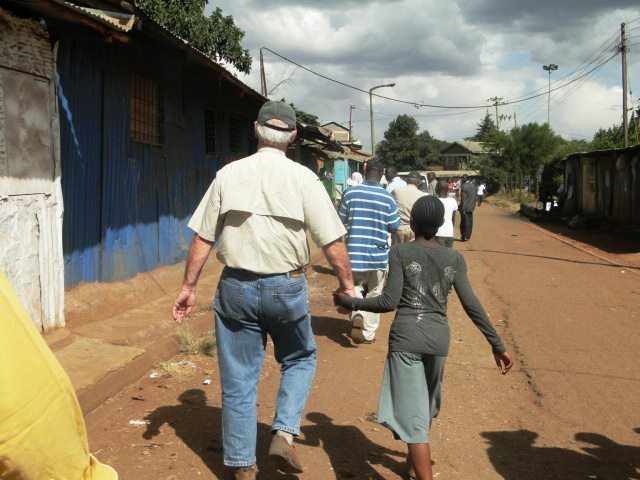 What a great start for the girls in Kibera for 2012! 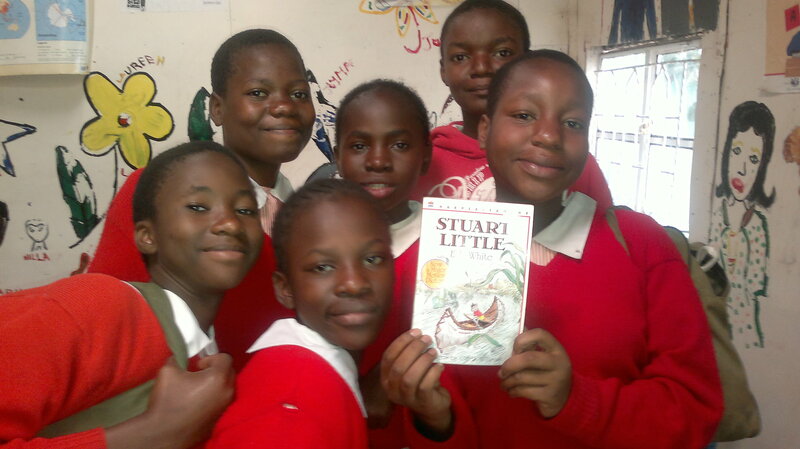 Last Sunday we read the book Stuart Little by E. B White, a book that explores the life of a mouse pet named Stuart who lives with a human family in an apartment in New York City, and loves adventure. His best friend is a bird named Margalo who disappears, making Stuart experience the most amazing adventures in trying to track down his missing friend. The girls were so captivated by this book. We reread the first three chapters; this was to accommodate those who were not there during the previous reading session with Pam. How we wait to see what happens next in the life of Start in the upcoming chapters! On the same day, they met Njugush (John Njuguna) a TV presenter on a show Rauka ( a gospel show) that airs every Sunday morning from 6am - 1pm on one of our local channels (Citizen TV). The girls love the show and what better way to inspire some of them to follow their dreams than to get them their favorite TV presenter! They attentively listened to the advice Njuguna had to offer their young minds. “We all have to start from somewhere and let nobody make you feel like you are worth less!” These were words of encouragement from a man they look up to. We look forward to working with this TV icon in continuing to enrich the lives of these young girls. 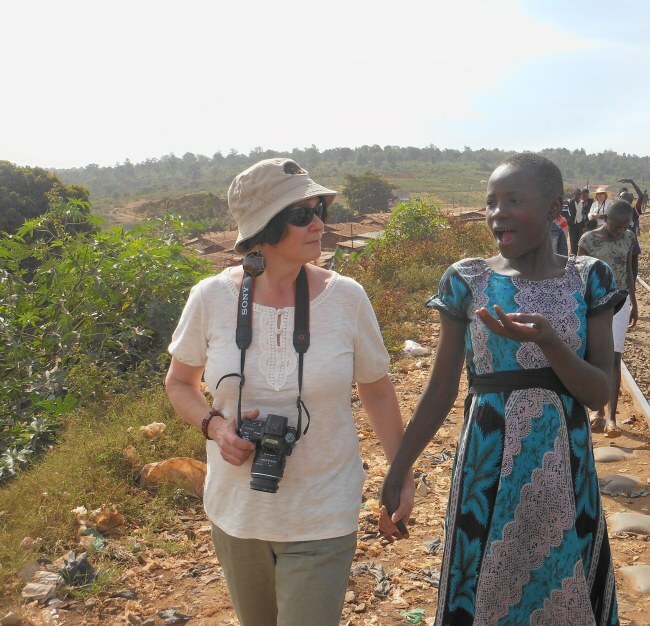 Special Visitors Arrive in our Girls Club in Kibera, Kenya! 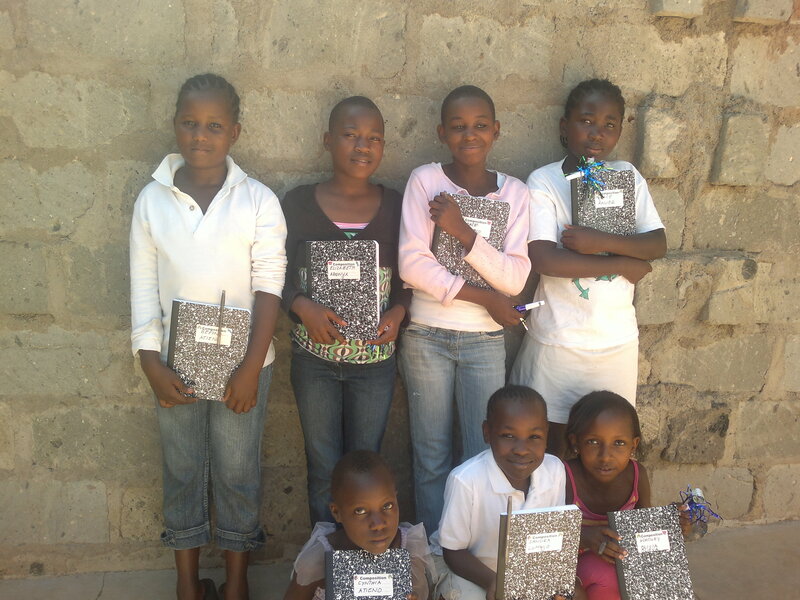 The girls with the books they received from Pam! This Sunday we were delighted to have two guests. One of our own: Zainab, a pioneer High School Scholarship Beneficiary. She has just completed her national KCSE examinations at State House Girls. She came to share her experiences in high school with the girls club. From the conversation and millions of questions asked, it was obvious to note that the girls litclub students were quite eager to know about high school life. I must admit that listening to some of Zainab’s advice on peer pressure as well as how to maintain one's identity even when in a group, was an eye opener. To top it all off, they got firsthand experience of how to conquer the several trials and tribulations they may face in their teenage years. 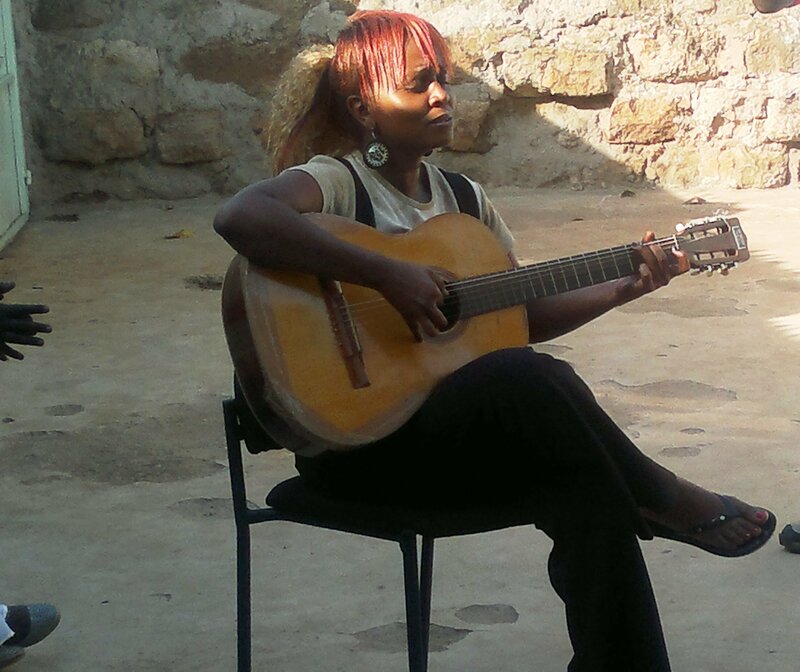 The second guest was Barbra Guantai, a musician who leans towards the genre of afro-fusion. Taking a look at her picture, you can almost tell immediately that this is someone who is passionate and not afraid to follow her dream. Listening to her music, a blend of traditional African rhythms and the modern contemporary one, is a testament that following your heart does pay off. She had a glow; right from the moment she picked up her mahogany coloured classical guitar, to plucking that first string and singing that first note, the glow spread. The girls had it too. In a few minutes that glow changed to excitement the moment the girls joined in the singing. From the start I realised the girls wouldn’t easily let her go, and in the end I almost had to drag her away. Did I mention Barbra didn’t come alone, she was accompanied by her mother: a retired nurse who previously worked at Kenyatta National Hospital, as well as well her two cousins, who were all too eager to join in the fun and games. Her mother tackled all the questions the girls threw at her gracefully. It was easy for the girls to relate to her considering she also grew up in Kibera. The girls listened intently as she mentioned the need for the girls to remain principled as well as being focused on education as a “ticket out”. She is currently running a clinic based in Kibera. She is definitely a living example of her own advice. LitWorld friend Denise Ortiz came along for the visit! The girls playing dress up! This past Sunday, girls at the Girls LitClub discussed the topic of BELONGING. They drew heart maps and shared with the class. The new club consists of twenty girls who are under the tutorship of Brenda. The girls get along well and always play together after the club meetings. Their menu has also been finalized, so every Sunday the girls will be provided with lunch. The girls are ecstatic about it! On the November 6th, Barbara, an afro fusion artist, will be coming to talk and spend time with the girls. They are very excited, and are eagerly looking foward to this rare visit. 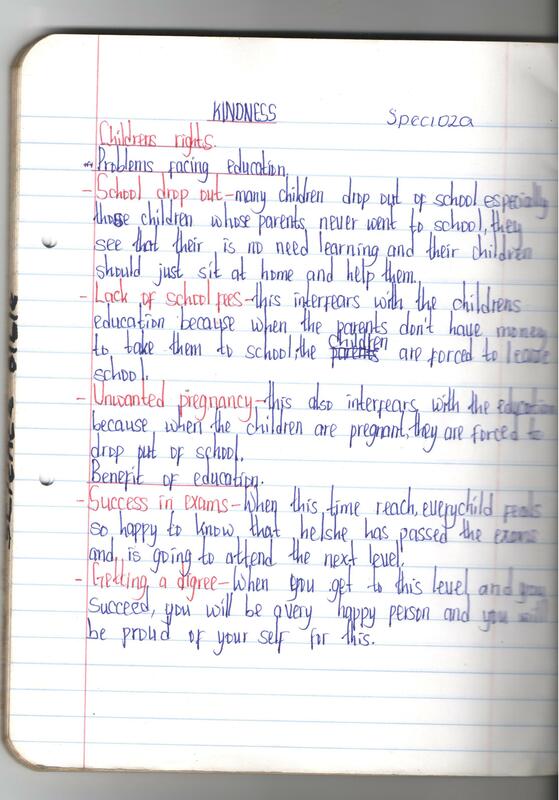 This entry was submitted by our Girls LitClub facilitator in Kibera, Prisca. Thank you for all your work with the girls! 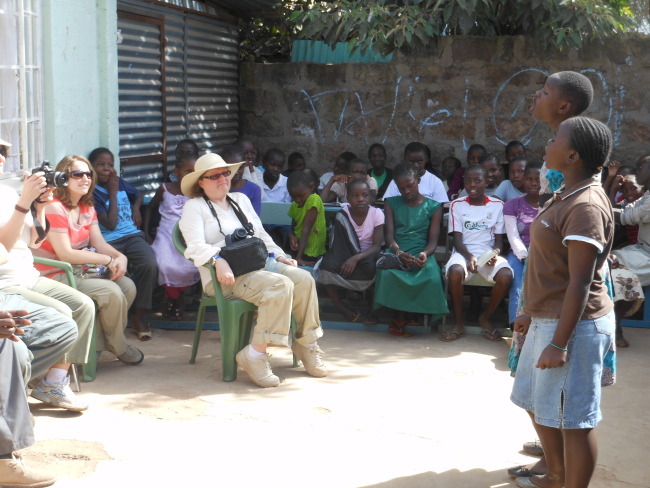 Girls LitClubs in Kibera Visit the Arboretum! On Sunday, October 9th, the girls had a day out, and went to the arboretum. The girls got to meet and mingle with the girls in the new girls club, and played the name game, making it easier for everybody to remember each others’ names. 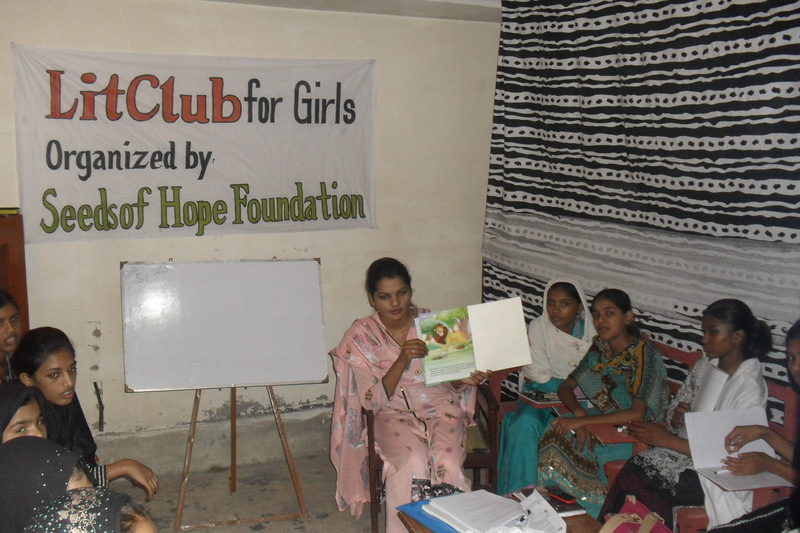 The new members were then introduced to the LitWorld girls’ club activities, and as a team we established some guidelines for our club. This was followed by a brief session of index surveying, since it was a day to mingle and have fun. This was given the lion share of our day out. A sumptuous meal iced our cake and it was time to go back home. We also explored music as a form of expression. The girls listened to the song “I Believe” by Princess. This girl is very special in Kenya, as she embodies the fight against cancer at 14 years old. She is a cancer patient and the most vocal advocate for treatment to all cancer patients in our country. After, the girls got to write a poem or song of their own about their hopes for the world. Please! Please! Fill her with respect, always talk good to her. Start a new world full of educated girls.